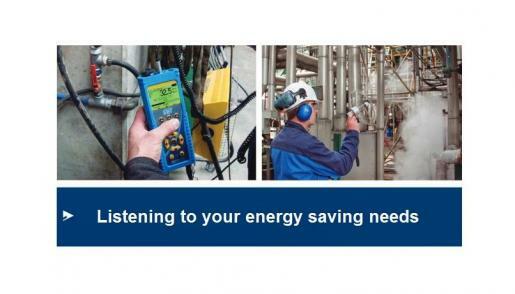 The detection of air leaks, when done by professionals using ultrasound equipment, is the best way to guarantee a quick, efficient audit of your compressed air network. Air leaks can account for a large part of wasted energy consumption in a compressed air network and can even translate to a drop in productivity, under certain circumstances. In industrial environments, detecting air leaks representing 20 to 30 percent of a compressor’s output is not a rare occurrence. Proactive solutions (such as auditing and repairing air leaks) can reduce the amount of air lost in leaks to less than 10 percent of a factory’s air consumption. Not only are they a waste of energy, air leaks can contribute to other problems, such as loss of productivity. There exists a real cause and effect relationship between the amount and magnitude of air leaks and the air pressure of the entire network. If the production line is shutdown, an isolation valve could be closed. Our audits are done very quickly and offer quality results (precise location of leaks, writing and sending of detailed report within 10 days following the audit). We provide an estimate of the air leak flow, associated costs, and return on investment.